A roast is the perfect winter warming meal. Once reserved for Sundays and special occasions, new features in cooking equipment have seen the humble roast become a regular at the dinner table. And of course, there is often an abundance of leftovers reserved for lunch the next day. As part of our winter cooking blog series, we’ve compiled top tips for creating the perfect roast. As the star of the show, we’re kicking off this series with a guide on cooking juicy and tender meat, poultry or game. Take your cut out of the fridge at least half an hour before it goes into a pre-heated oven. Ideally, the meat will have been brought to room temperature. This will take the chill out of the meat and allow the cut to cook more consistently. 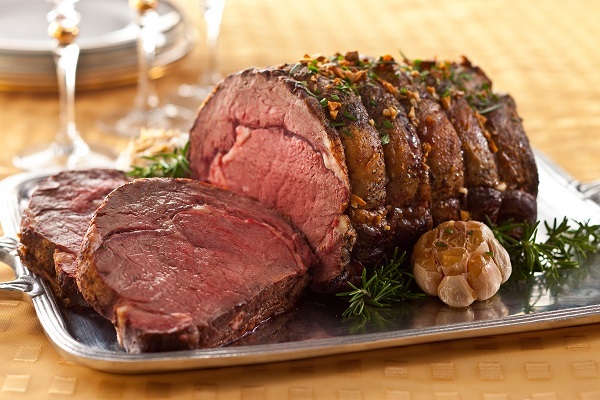 This is particularly important if you prefer rare to medium-rare meat, and the roast does not have a bone. Place the roast on a rack within the roasting dish. Doing so ensures the heat circulates and cooks the meat more evenly. Alternatively, lift the meat by placing it on top of a bed of root vegetables that will cook in approximately the same amount of time. Baste the meat halfway through cooking. If the vegies are looking dry, add a splash of water or stock to the roasting dish to prevent burning. Different cuts of meats require specific cooking times based on their weight. We strongly suggest using a meat thermometer – it’s accurate and incredibly easy to use. For a list of recommend cooking temperatures, visit the NSW Food Authority. Check the temperature of the meat about 10 minutes before the estimated cooking time is up. Remove larger cuts from the oven just short of the expected time, as larger roasts - particularly those with a bone - tend to go up just a little in temperature and cook further as they rest. Transfer the roast to a plate and loosely cover with foil for 10-20 minutes while the meat rests. This gives the juices in the meat a chance to redistribute, producing a moist and tender result. Thank you so much for the tips, I will be doing this tonight with the family's roast! Keep up the Fabulous Tips and Tricks - the really do make a difference!